The tools needed to write a song can be as simple as what many songwriters have used through the centuries: a piece of paper, a pen, and an instrument. But in the 21st century, a songwriter can be much more high-tech, and the business of songwriter can be complex, too. The good news is that today’s songwriter has many tools – some no further than their smartphone – to make the job easier, and new and different ways to network, stay organized, and yes, write songs. Here are a few. When you have a great song idea, scribbling on a piece of paper isn’t always the easiest way to capture lyrics, a hook, or chord changes before they are forgotten – especially when you’re in the middle of something else when inspiration strikes. Fortunately, there are tablet and smartphone apps that allow you to record whatever has come to mind, even if you’re just singing into your phone while on the road. FourTrack, SoundCloud, and Evernote are just three of the apps that allow you to record sound quickly and easily. Voice Memos (on iPhones) and Voice Recorder (on Androids) are also built-in to your phone and free. Also consider bookmarking RhymeZone if you get stuck on rhyming a lyric. While a piece of paper is always a fail-safe, having one of these resources on your phone is a help – and less likely to be accidentally thrown away or fly out the window. Maybe you have tons of ideas, lots of hooks, and a dizzying number of songs in various states of completion. While you can set up a file cabinet, it’s probably easier to keep everything on your computer. Set up a folder system so that you can find songs in one place, legal documents in another, and finished demos in a third. Make sure subfolders and folders follow the same naming system, and you’ll always be able to find what you need, when you need it. One way to learn more about the craft of songwriting is to connect with songwriters who may be able to give you feedback, inspire you, or just offer support and ideas when you need them. While it’s possible to find connections organically at gigs, consider hitting your computer for additional resources. Google songwriting circles or collectives, look through Meet-Ups listings, and consider classes at your local college. By finding people who may write outside of your genre, you may get fresh perspectives and ideas that will add an unexpected layer to your writing, too. In addition to meeting other songwriters and musicians, music conferences can serve two purposes: you can learn more about what’s happening in the industry, and you can potentially meet other people who might be helpful to your career. ASCAP “I Create Music” Expo, Durango Songwriters Conference, and The Kauai Music Festival are just a few of the festivals worth considering. Be advised that, especially if you have to travel, these can be expensive (you’ll save money if you plan in advance) and it’s important to manage your expectations. 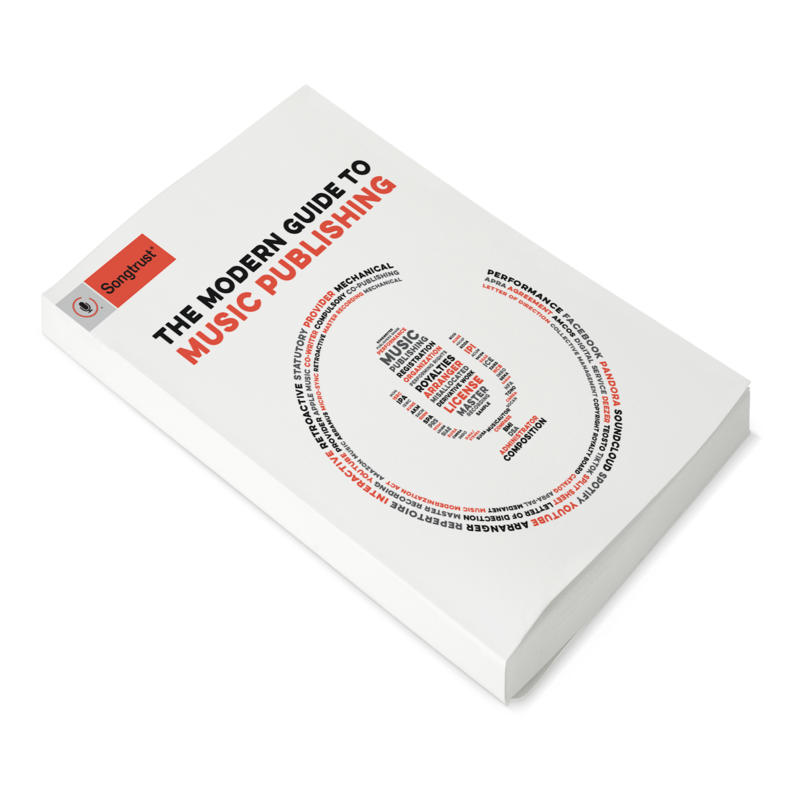 While you may meet people who can make a difference in your career, you’re unlikely to walk away with a publishing deal. Think of conferences as a useful tool that will boost your profile and may actually be fun to attend, too. Don’t forget that when you finish writing a song, you may want friends or collaborators to hear it so you can get early feedback. WeTransfer and DropBox are easy ways to send music to other people without crashing their email accounts. As a songwriter, it’s not enough to just keep track of your music and lyrics. You’re also a businessperson, and if you sell any of your music, you can soon be awash in contracts, legal documents, and chasing down royalties. While Songtrust can help by making sure you’re paid any domestic or international publishing royalties, you also need to keep an eye on expenses, invoices, and bills. Consider Expensify, QuickBooks Self Employed, or even an Excel or Google spreadsheet to make sure you’re on top of your business and personal expenses. Make sure you're collecting all of your mechanical and performance royalties globally, register for Songtrust as your publishing administrator today.